I wonder if we will see the Express taking a swerve to the left? I thought at first this might come as a shock to the Express readers who for years have been fed a load of right-wing propaganda but on reflection, a group capable of believing that carrots are a cure for cancer one week and the cause of it the next will have no difficulty whatsoever in making the change to socialism. I consider the Daily Express readership even lower than Fail and S*n readership. The Headlines are just sooo ludicrous- when they are not spouting about cancer creating/ curing carrots it's 'extreme weather'. Last edited by RUDEBOX; 9th Feb 2018 11:54pm. Not forgetting Maddie and Princess Di. 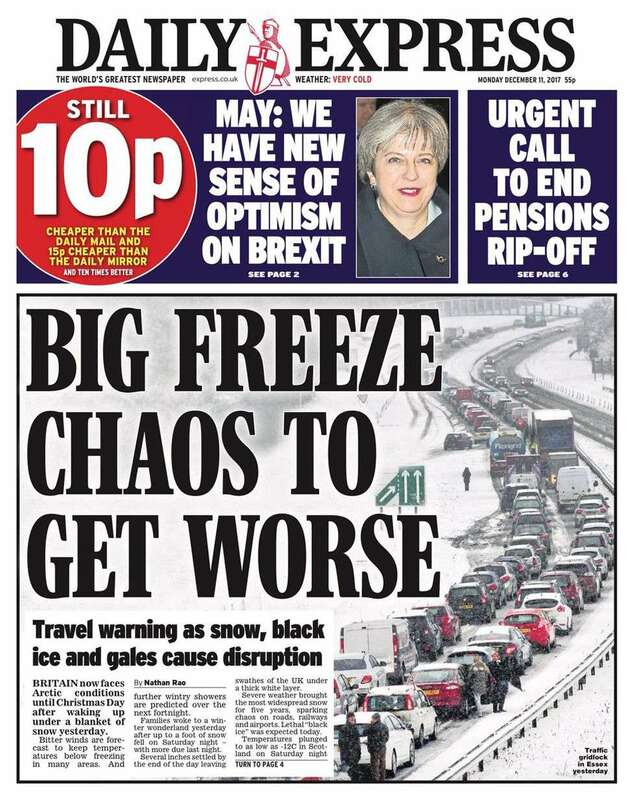 There was something comforting in the reflection that when nuclear armageddon arrives, that the readers of the Express will meet it as limber as an eighteen-year-old! What paper would you recommend Ex. It would appear only two people on Wiki read The Express. Before being bought out by Trinity Mirror PLC. I was a Mirror reader who stopped when the socialist owner Robert Maxwell ran away with the till. The Mirror was the first paper to admit to phone hacking, the only goods thing I can remember is The Pilger Report and how well it got the fire going.